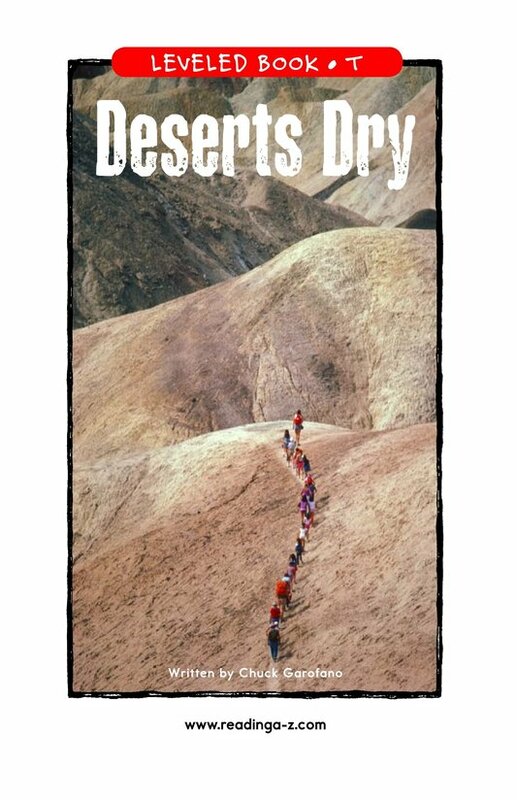 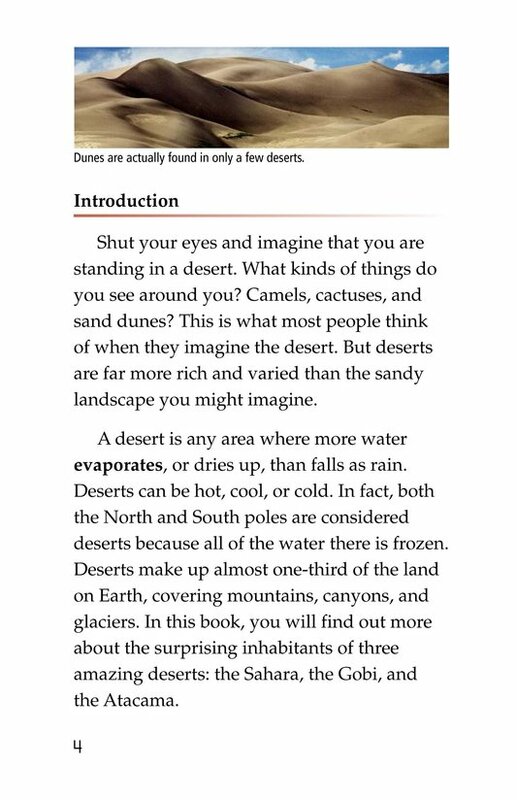 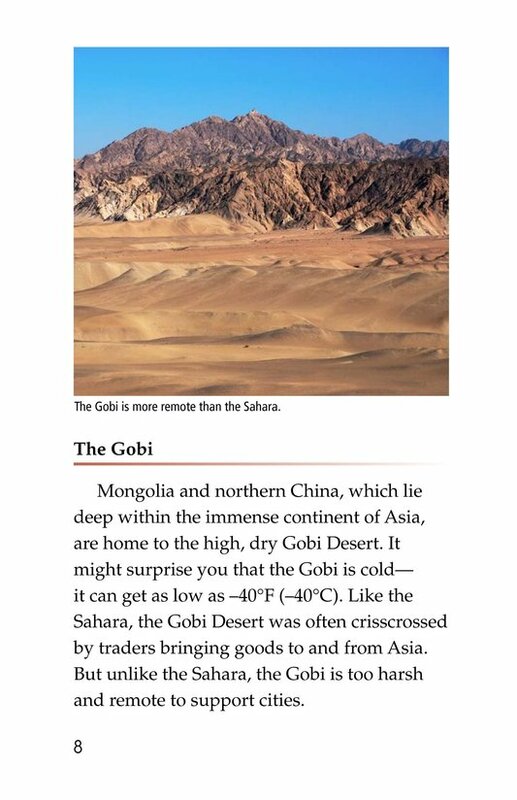 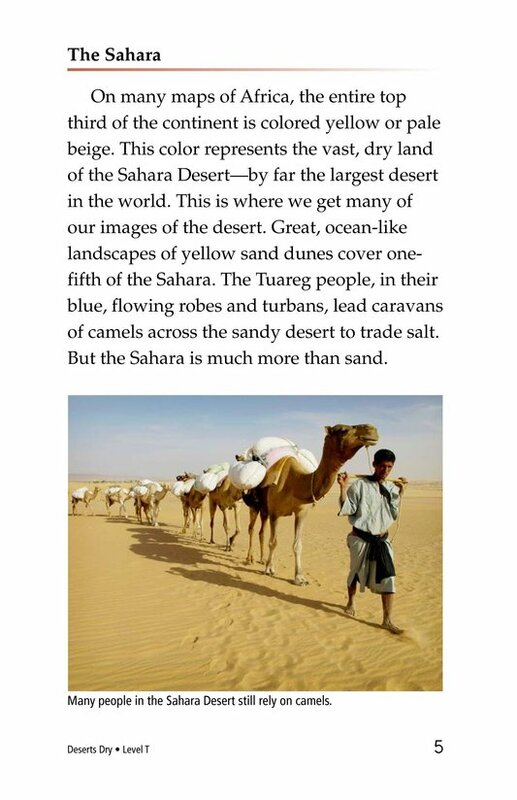 Deserts Dry asks readers to think about what they already know about deserts and adds surprising new facts about three of the most unique deserts in the world: the Sahara, the Gobi, and the Atacama. 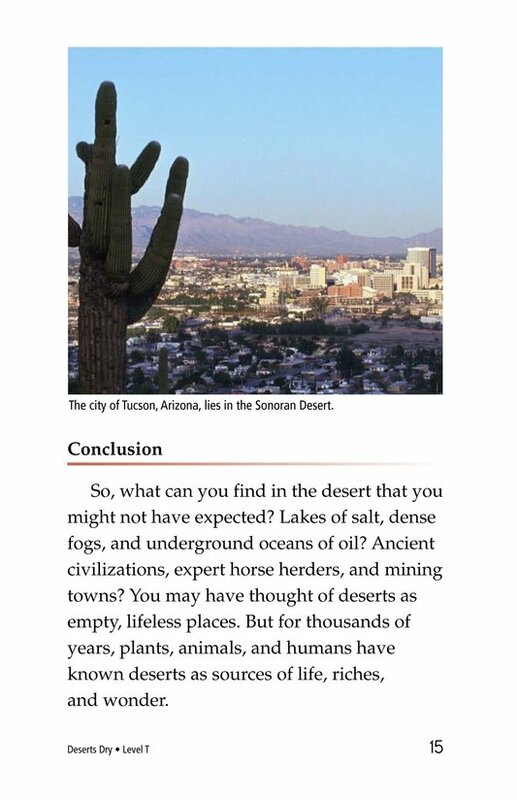 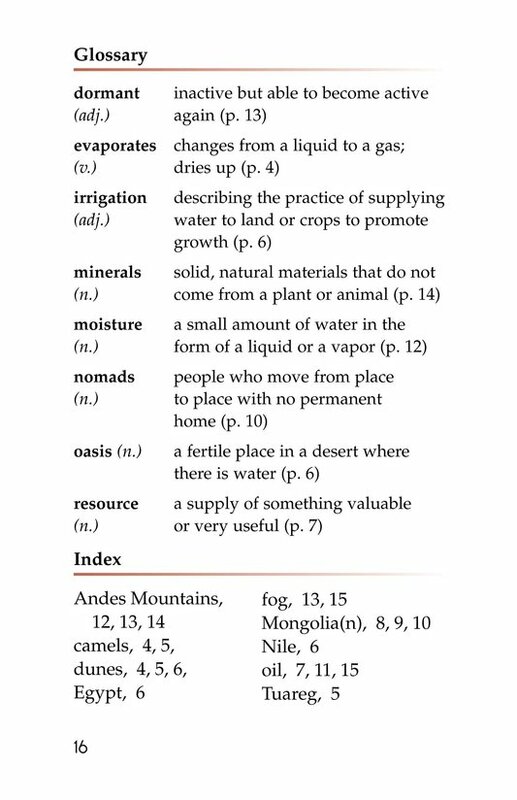 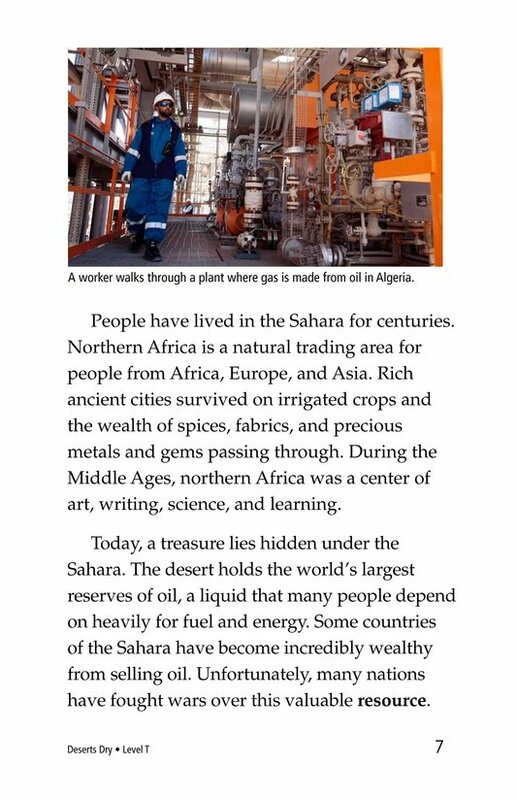 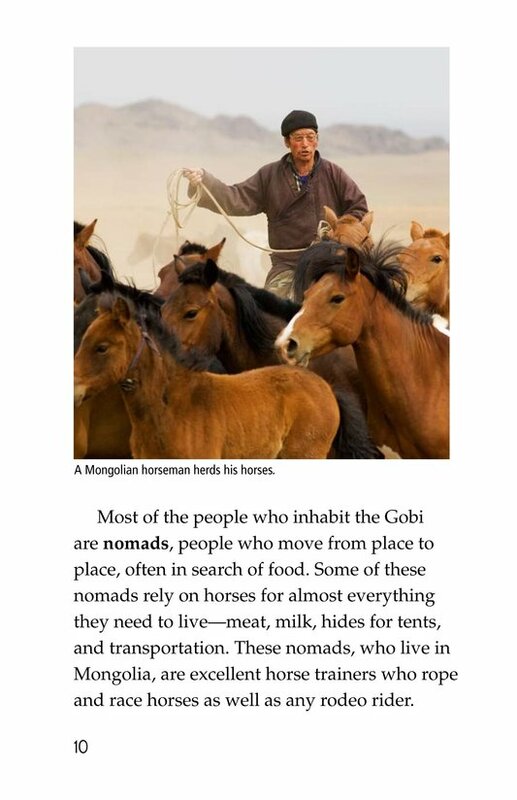 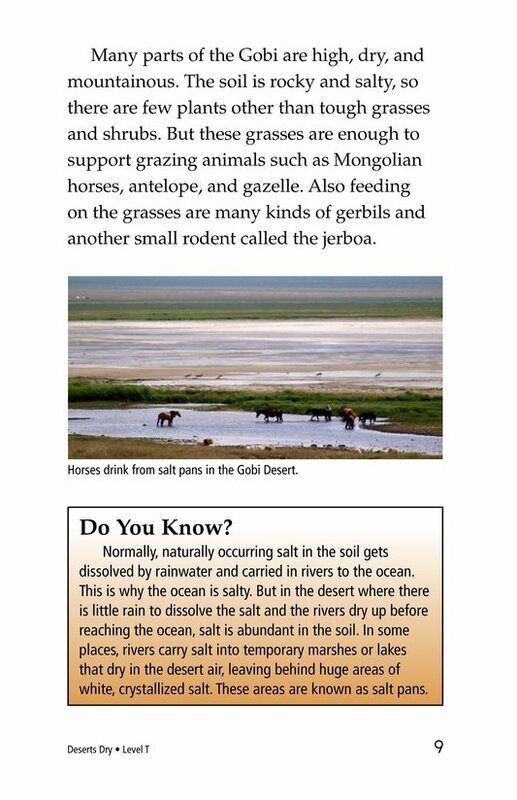 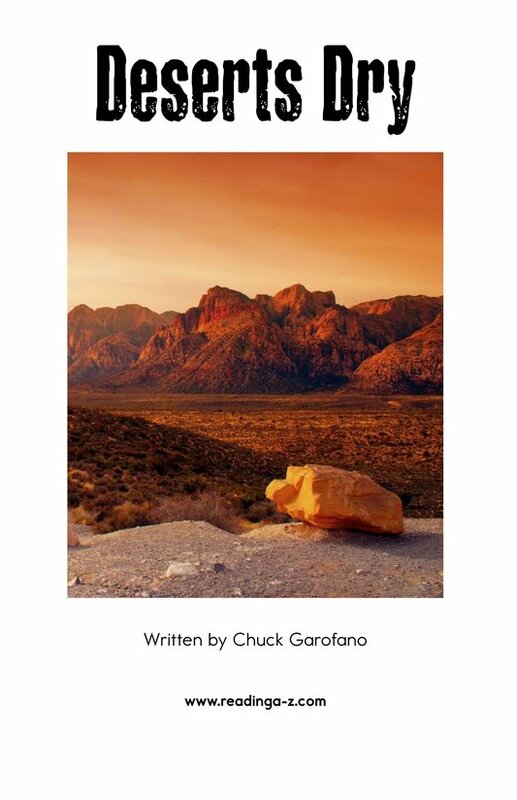 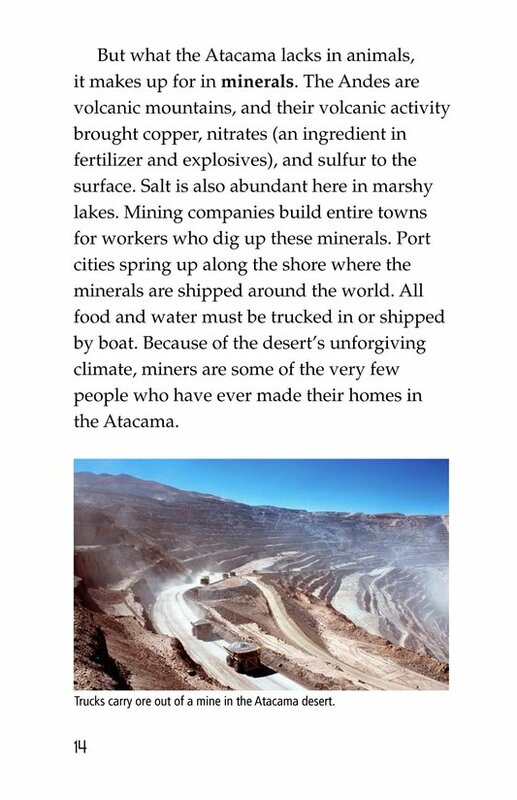 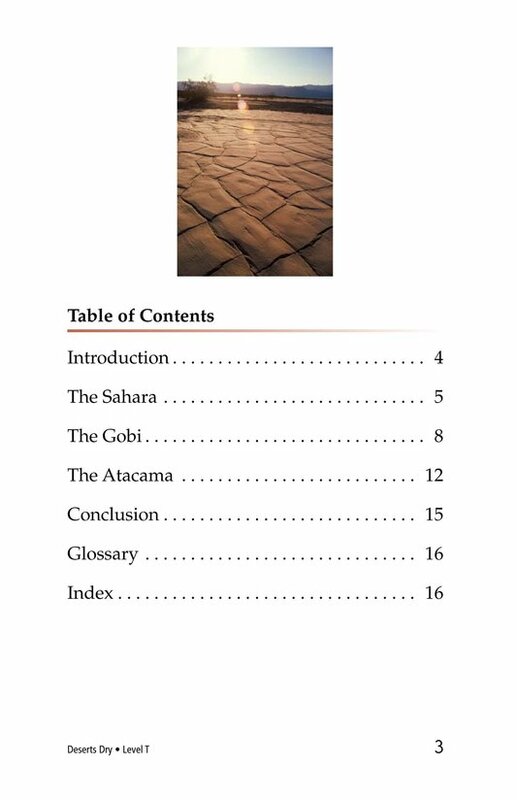 The book explains that some deserts are home to expert horse herders, lakes of salt, underground oceans of oil, and ancient civilizations. 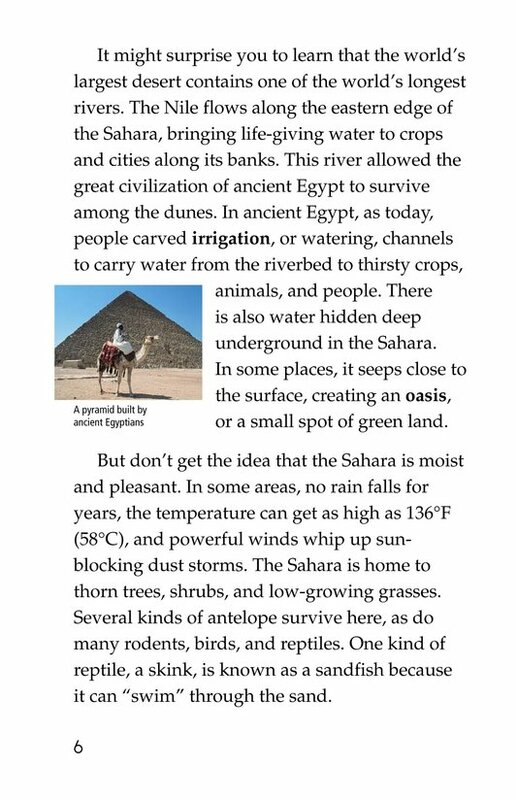 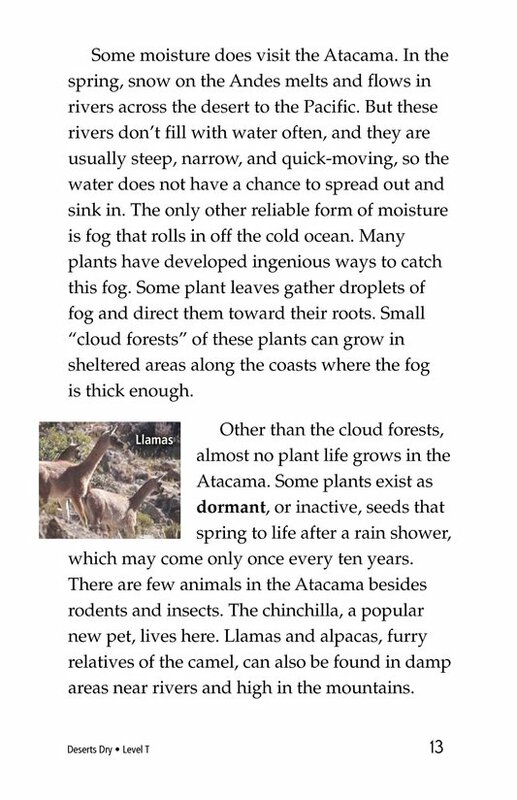 It also describes different animals and plants that can be found in these inhospitable climates and explains how they survive. 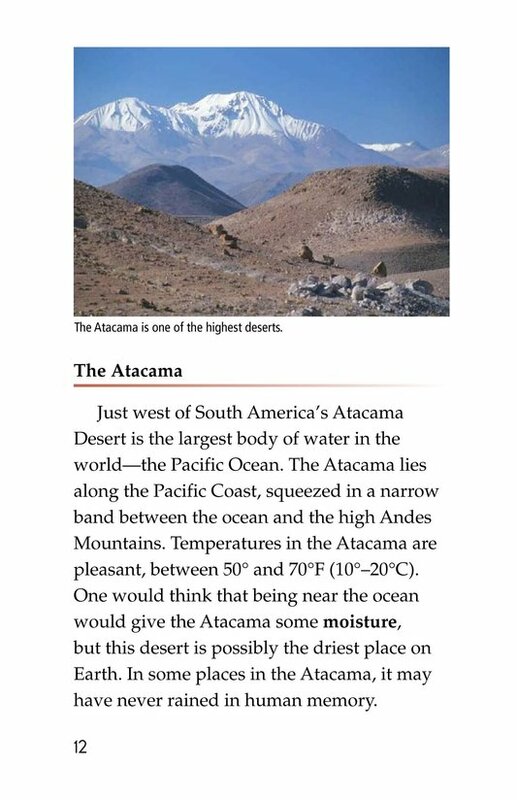 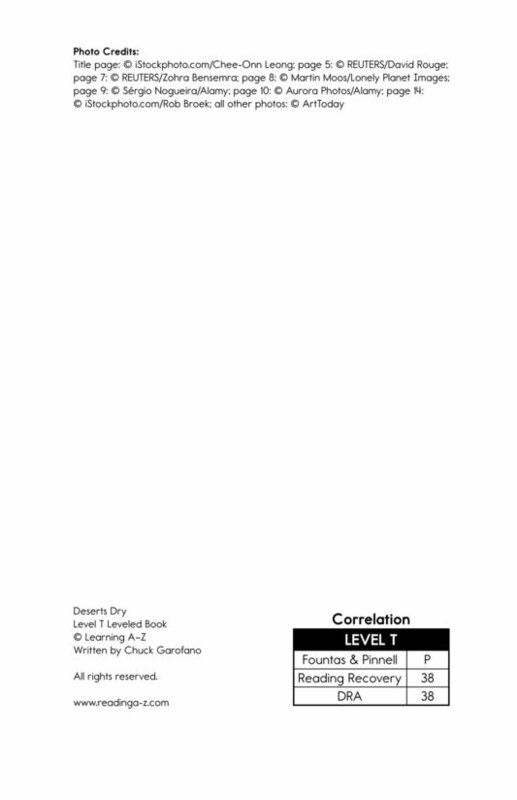 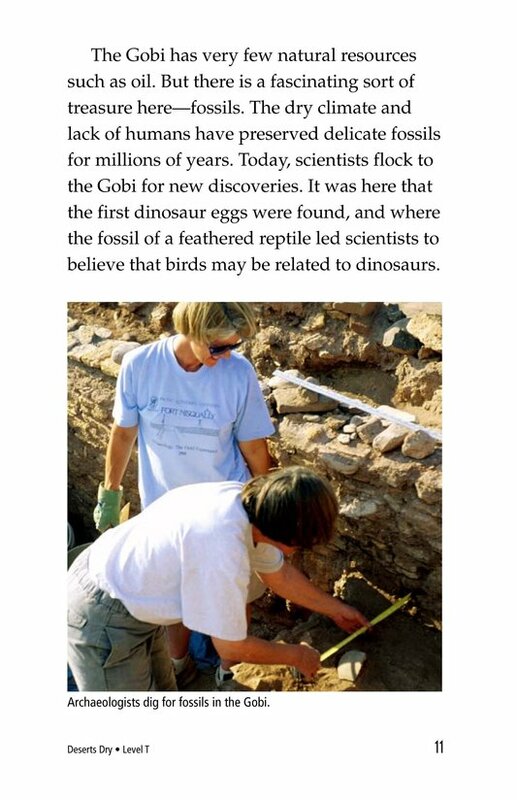 Photographs and captions support the text.